Extraordinary global creations from Junoon's Michelin-starred chef! 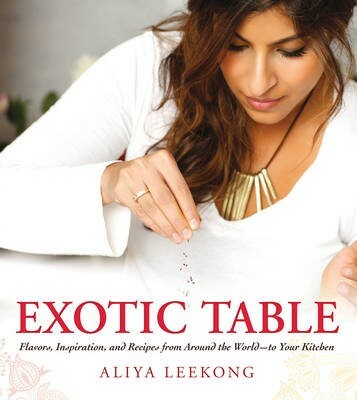 Aliya LeeKong, one of New York City's top chefs and culinary innovators, has traveled the world in search of cuisine that is bursting with flavor, tradition, and the homemade taste she craves. In this book, she transports you to faraway lands with 100 international recipes inspired by the cultures she visited during her culinary journey. LeeKong puts her own signature touch on each meal with all-natural ingredients, vibrant spices, and a unique fusion of customs and tastes that only she could dream up. She also includes the fascinating stories behind these global dishes and her simple techniques for cooking them at home. Filled with recipes you won't find anywhere else, this book will help you create mouthwatering meals like: Israeli couscous salad with lemon, fennel, and basil Kenyan coconut-coriander chicken Honey-braised lamb shanks with butternut squash and apples Salted caramels with sweet garam masala Whether you're a culinary adventurer or a weeknight cook looking to spice up your repertoire, Exotic Table will take you on an unforgettable tour around the world's best kitchens.